1) Raisins bikini- Perfect fit, style and color! 2) Dotti cover up- Zipper, pockets and hoodie included! 3) Cheers sunglasses- Bottle opening sunglasses come in handy! 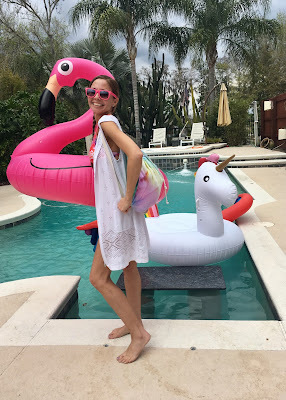 4) Sand Cloud beach bag- My colorful pool bag turns into a towel! 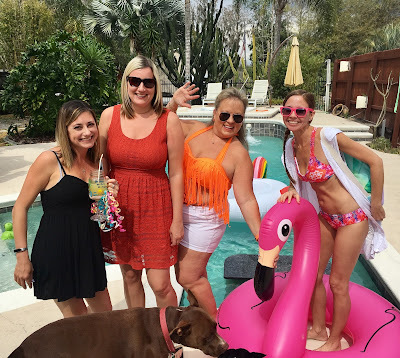 5) Big Mouth flamingo pool float- Never leave home without it! Stay tuned for more by Raisins and Dotti. See my previous posts for discounts on Cheers Sunglasses and Sand Cloud Towels.